BUT, I decided to talk about someone, or something, who I think is a real hero to a lot of little people. What am I talking about? The mother bear project is something I’ve been introduced to through podcasts, originally cogknitive although other podcasters have mentioned it too. 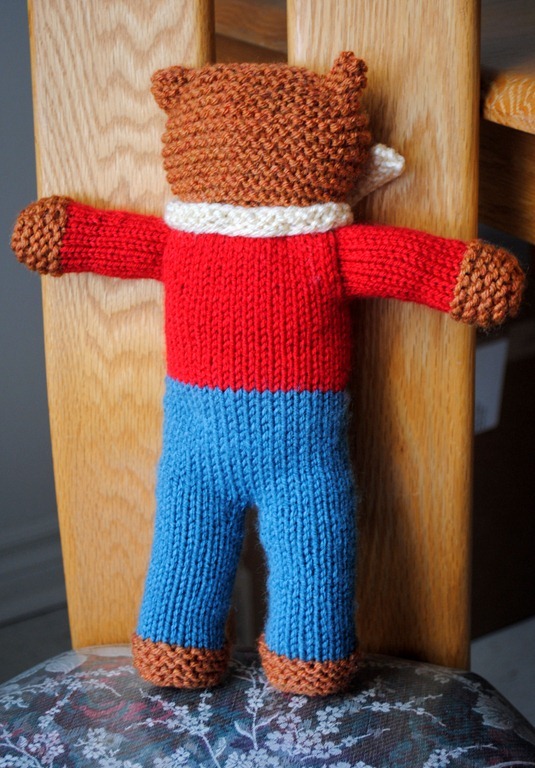 The project is designed to have knitters create bears that are then sent to countries in Africa to be given to small children who are either infected with the HIV virus or have parents or family who are. Of course there are tons of charities that donate various things like supplies and food to Africa, but I feel like this is a charity that offers something different and special. And it lets us knitters and crocheters do our thing and help others too. It’s also a great way to use up worsted weight scraps that you may have. Just check out the photo gallery on the website (found here) and tell me the photos don’t make your heart melt and convince you to knit a bear RIGHT. NOW. To get the pattern you have to order it and they will send you a hard copy. It’s a bit of a hassle (that you have to wait!) but they then give you a little tag to attach to your bear and a brochure that you could show other people to let them in on what you are doing. I sent a part of mine to my grandma because I used her birthday money to buy yarn for this project. And it comes fairly quickly too! 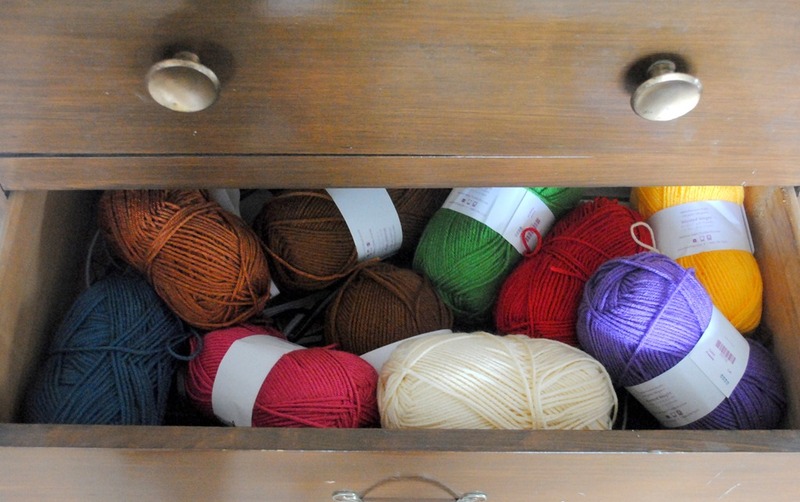 Plus if you are like me and have about…0 scraps of worsted it gives you time to get your supplies ready too. I’m knitting mine using the magic loop method on size 6 needles. I chose to follow the pattern to the T for the first time just to get the hang of it. I think next time I will knit the head in the round though to avoid a bit of seaming. Overall though, it’s very clearly written and easy to do. I’m doing one boy one, then one girl one. I’m planning on doing a bunch before I send them off to save on postage. 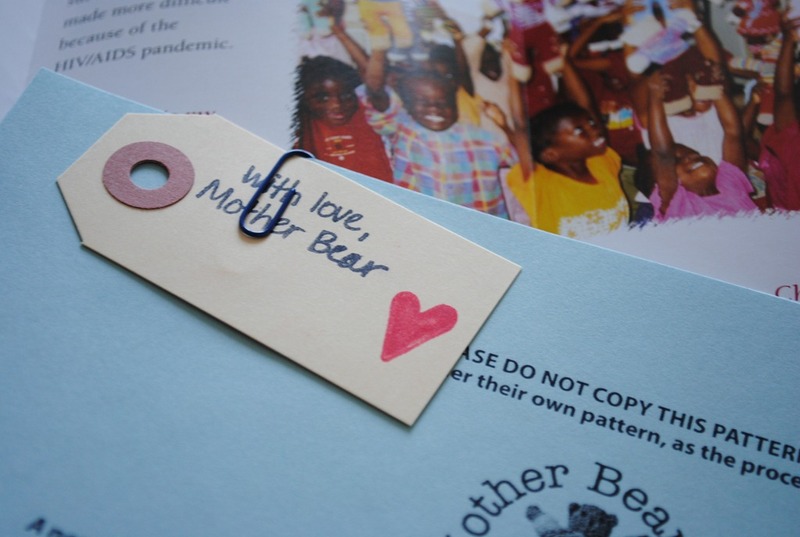 So yeah, to sum it up, my hero is the mother bear project. 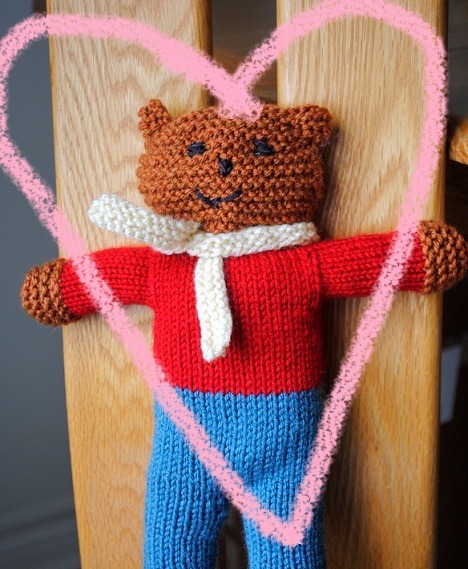 I admire all of the people who have made bears for little children and I admire the people who work to get them sent across the world. According to the website, as of yesterday, 73,700 bears have been sent out! I admire the children who have to be so strong in the face of so much pain, too.